Roof Pitch is defined as the number of feet the roof rises vertically for each 12 feet of horizontal measure. All of our Gable Decorations except 4208 can be slightly modified by us to fit most roof pitches. We do this at no additional charge. With printed drawing in hand, and at some distance from the actual gable, try to position yourself directly in front of the gable. (This may be a second floor window of your neighbors home!) If you're not able to get high enough, that's ok as long as you're directly in front of your gable. 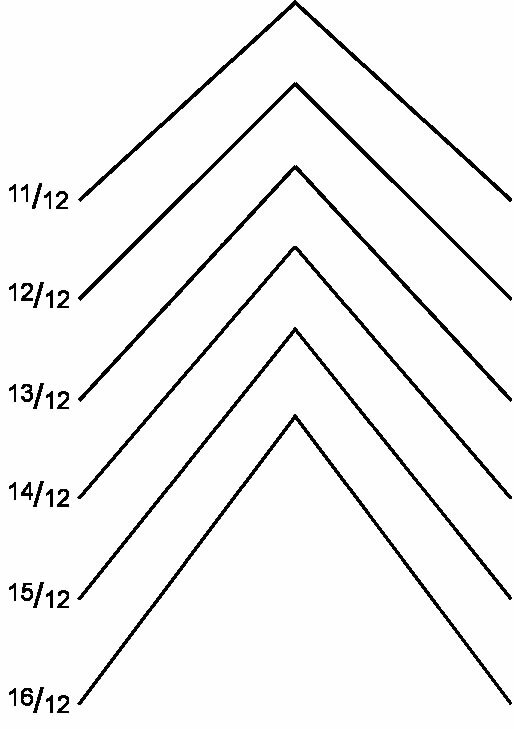 With printed pitch guide at arm's length, select the pitch lines that closest match your gable's roof pitch. Cut along the edge of the selected pitch lines. From your vantage point, see if you can visually fit this 'peak' into the actual peak of your gable roof. If the cut pitch guide matches the slope of your gable roof, then the numbers on the left side indicate the pitch of your roof. If you cannot perfectly match your actual gable that's ok for all of our designs except 4208 and 4210. 1. 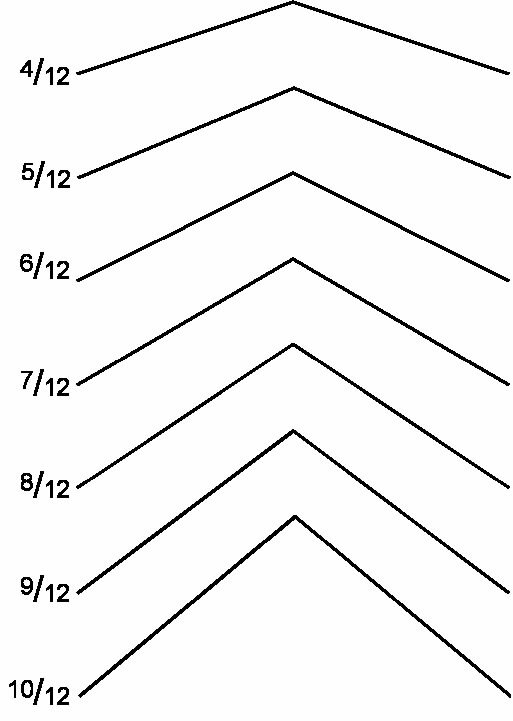 Starting at the peak of your gable roof, measure down 36" along each side of your gable and make a mark. 2. Using a metal measuring tape, measure the distance horizontally (across) from mark to mark. Use the online Roof Pitch/closest Horizontal Measurement pop-down at your chosen Gable Decoration listing to indicate your Horizontal Measurement for each gable you're ordering. We'll take it from there! Please contact us if you need assistance. We're always eager to help!